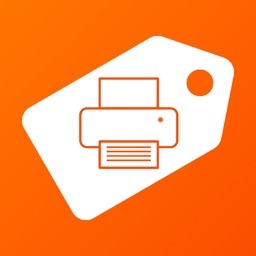 Print labels and envelopes directly from your iPhone, iPad or Touch to any airprint compatible printer. NOTE: You MUST have a printer that supports AIRPRINT to use this app. 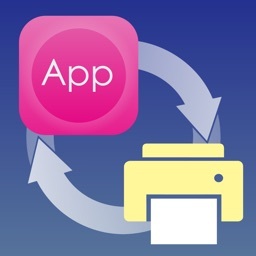 If you do not have an airprint printer, then this app WILL NOT WORK FOR YOU. Don't buy this and leave a 1 star review! 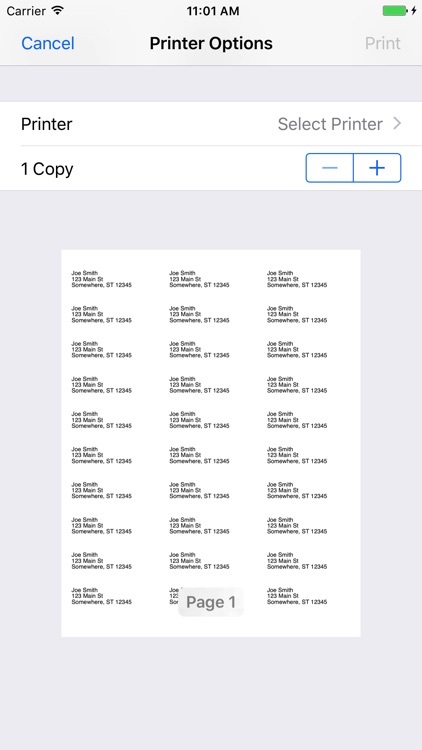 The app defaults to the standard 5160 label and #10 envelopes. Some printers may not align correctly with the default printer, go into settings and re-align. For help on setting up an AirPrint printer, visit our support URL. Please email us with any problems you encounter. This Universal app is designed to take advantage of the iPhone's retina display, as well as the iPad's larger display, so no matter what device your are using it on, this app will utilize its unique features. 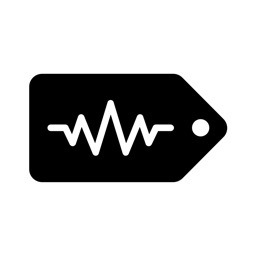 The app defaults to using the standard 1" X 2 5/8" labels (Avery 5160/8160 compatible series) which are very common and readily available at virtually any retail outlet. 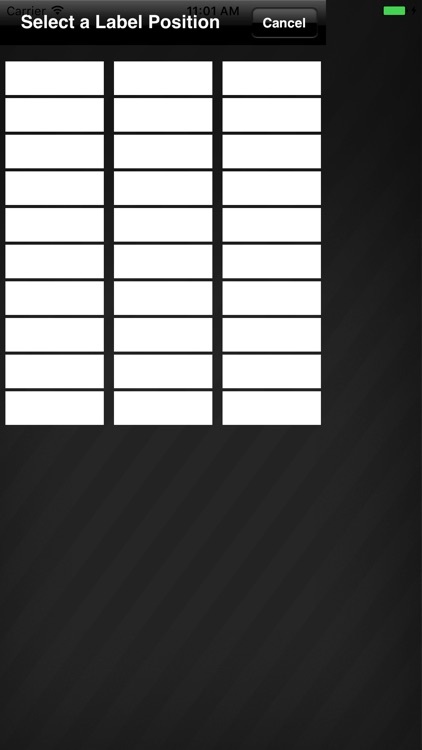 - Select the label to print on.. so you don't waste sheets, just pick a different spot. 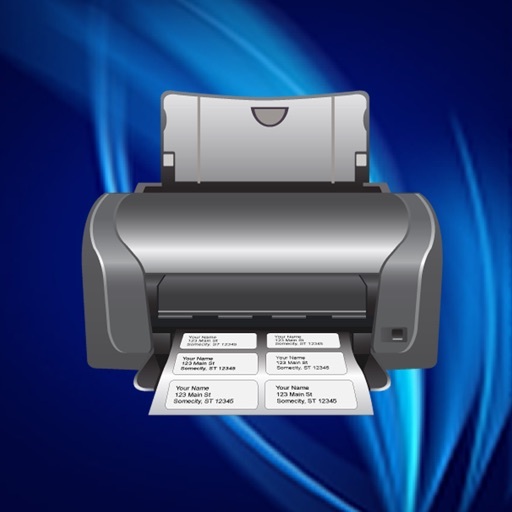 - Use any type of printer label format by specifying the number across and down. - Need finer detail? Override the X and Y coordinates of the labels and the space in the labels. - Adjust the printed page to accommodate oddly spaced labels. 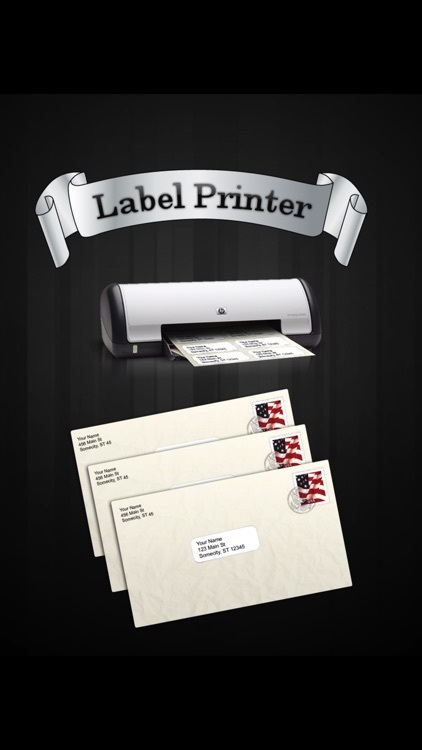 - Print directly on envelopes, just put an envelope in the printer. 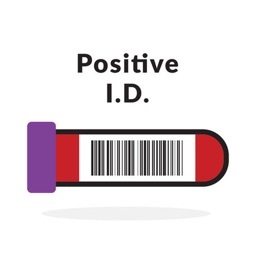 - Works with pre-printed envelopes. - Manually modify the envelope layouts, adjust the X/Y coordinates of the addresses. 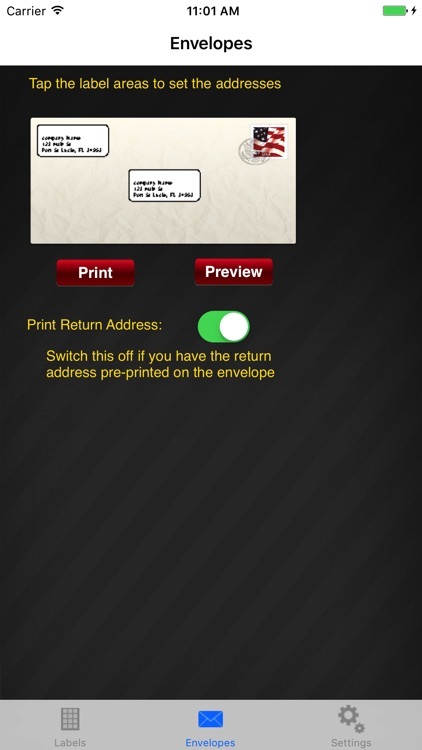 - Create a whole sheet of return address labels with one button. - Select an address from your Contacts or Manually enter them. 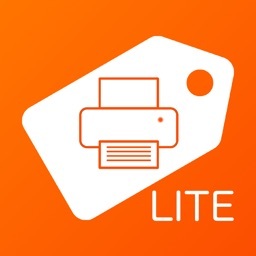 - Buy this app once and use it on all your devices. - Assign multiple different addresses to different spots on the page. All these advanced features make this versatile app a useful addition to your iPhone/iPad/Touch.